Sometimes you just need to play a prank on your boss. How about the classic mouse in jello? 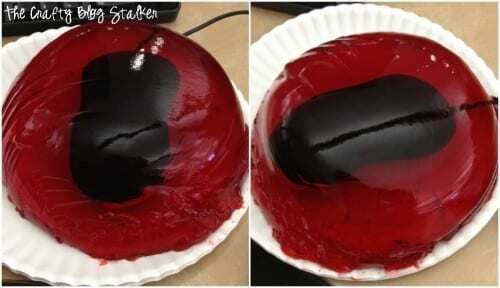 Follow these instructions and you can pull this jello trick too. I have the best job in the ! I get to work with so many of my favorite people that most days it doesn’t even feel like I am “working”. My manager is one of the reasons that my job is fantastic. The last couple of weeks he had been dealing with a lot of “stuff” so all of us decided to have a day just for him and show how much we all appreciated everything that he does for our us. So for no reason other than we thought it would be fun, we surprised him! 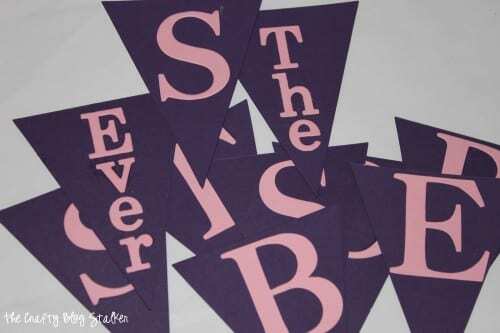 The Pennants were cut out of purple cardstock and the letters out of pink cardstock. 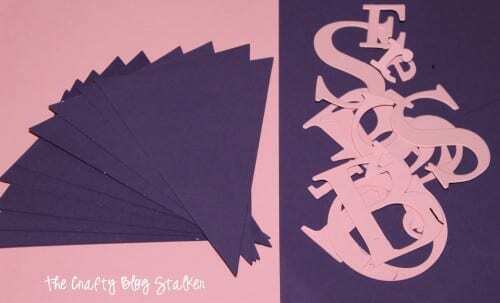 Adhere the letters to pennants using some adhesive. Use the Crop-A-Dile to punch holes in the top corners of the pennants. 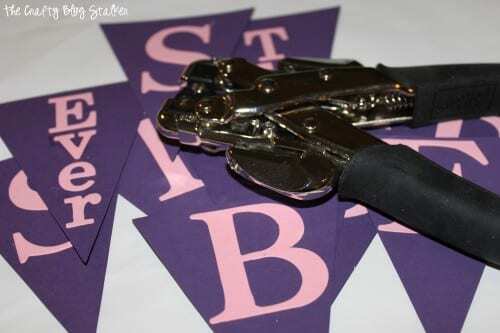 String the ribbon through the holes to create the banner. Even for it being a very simple banner, I thought it turned out great! Now this part was my favorite. The whole time I was making it I was laughing because I just couldn’t stand how funny I was. You will need a bowl that is big enough for the mouse to fit into and dental floss. 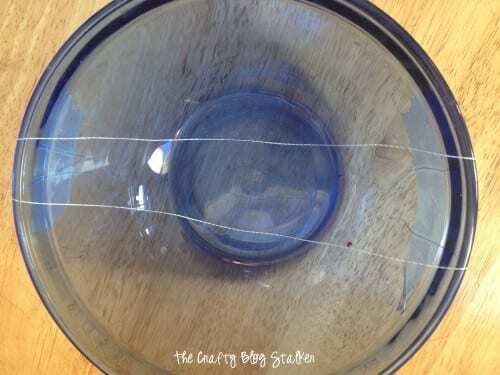 Take two long strips of dental floss and tape them to the bowl. 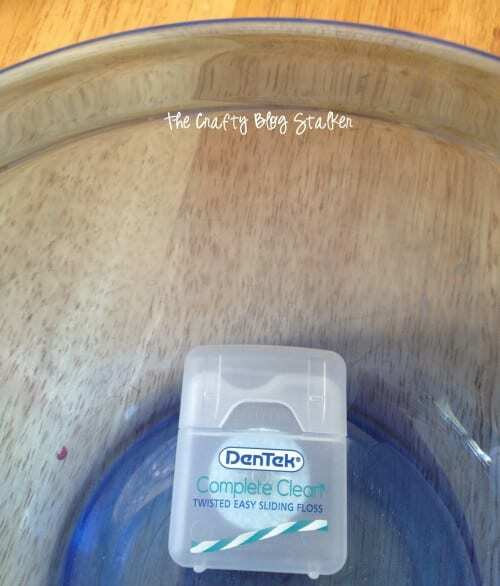 The purpose of the dental floss is to not let the mouse sink all the way to the bottom. You want it to look suspended in the jello. Tape the floss to the bowl but keep it lax so the Jello can cover the mouse but you don’t want the mouse touching the bottom of the bowl. Make jello as per the directions on the box. I made two batches to fill the bowl. Lay the mouse on the dental floss and pour the Jell-O over the mouse. It may take some finagling because the mouse is going to want to float so it will need to fill with the liquid so it will lay in the dental floss cradle you have created. 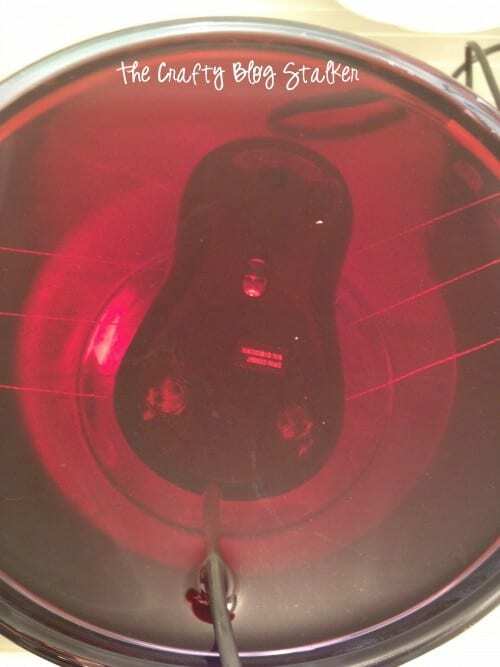 TIP: This will ruin your mouse! I used an extra mouse we had laying around the house and hid his. While I was making this, I could not stop laughing. When the jello is set up, slowly pull the dental floss out. It won’t leave any tracks in the jello and looks awesome! To get the jello to come out of the bowl nicely, let sit in a warm bath in the sink for about a minute. Only soak up to the edge of the bowl don’t completely cover with water. Put a plate on top of the bowl, flip the bowl over on top of the plate and the jello should slip right out. Another co-worker decorated his desk before he came into work. Several other people asked if had a baby girl. He said he didn’t think so, but if he did he hoped he wouldn’t find out that way! 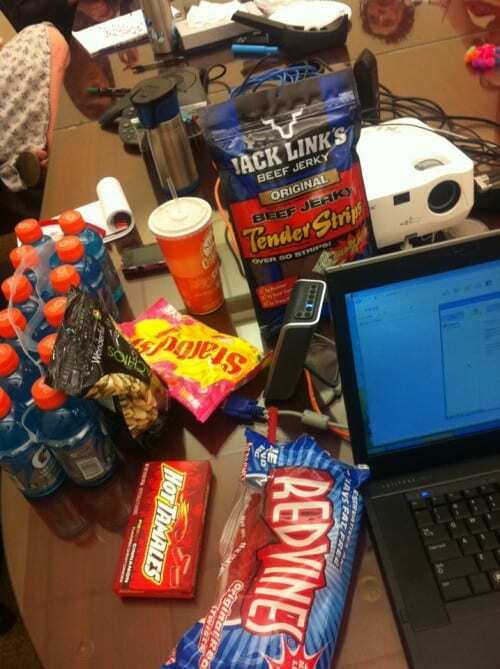 During our team meeting later that day we had all of his favorite snacks. It was really a fun day. And I hope our manager knows how much he is appreciated! CLICK HERE TO PIN AND SAVE FOR LATER! Have you ever played a fun prank on a boss or coworker? What did you do? Share and comment below! Haha! How funny! So glad you linked this to Things I’ve Done Thursday! Thanks so much for sharing at The DIY Dreamer.. From Dream To Reality! 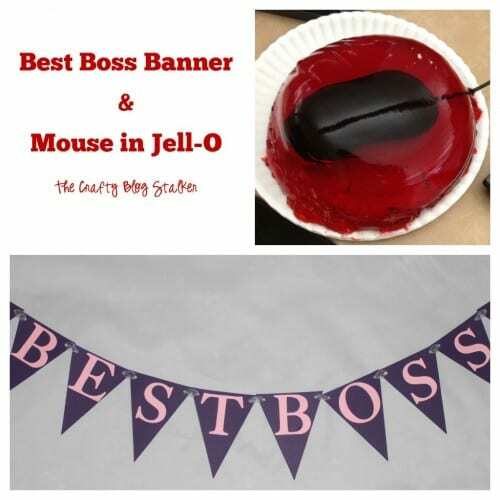 The mouse jello was a very funny prank! I’m glad it wasn’t really his real mouse haha! I always wondered how to do that since I saw this one episode of The Office. Thanks for sharing at Petites Passions Link Soiree. That is too funny! I’d love to have seen the expression on his face 🙂 Thanks so much for sharing at Mix it up Monday! Your banner turned out really smart-looking. Thanks for sharing at our party this week. This is Awesome! I love how the mouse stays suspended in the jello. Thanks so much for stopping by Creative Thursday last week. I couldn’t do these parties without you. Can’t wait to see what you link up this week. Have a wonderful week. This is great! Reminds me of the stapler in jello episode on The Office. Thanks so much for sharing at Tout It Tuesday. Hope to see you next week. 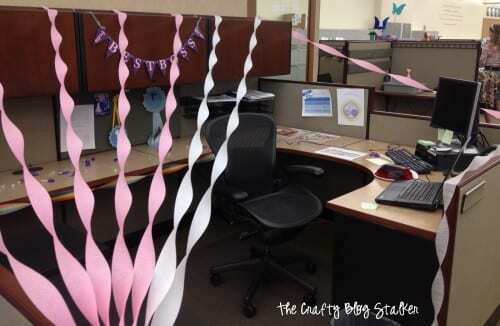 This is such a sweet idea.. and you must really appreciate your boss to make all of those clever items to celebrate! Thanks so much for sharing with the Pink Hippo Party! How flipping funny! Totally reminds me of that episode on The Office where they do the same thing. Hilarious! Great tutorial, wondered how that was done.